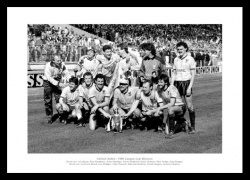 Ray Houghton scores the second goal for Oxford Untied in their 3-0 victory over Queens Park Rangers at Wembley. 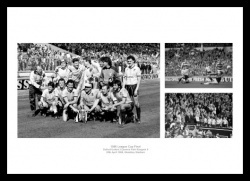 3 photos from their famous victory in the 1986 League Cup Final. 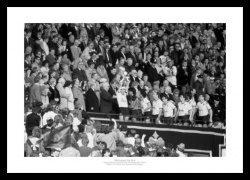 Captain Malcolm Shotton lifts the trophy for Oxford Untied in their 3-0 victory over Queens Park Rangers at Wembley. 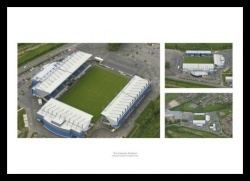 Aerial View of the Kassam Stadium.